Book your Galapagos cruise vacation now and save up to $1,400 per person on some of the finest luxury yachts in Galapagos! Also, book your 2015 Galapagos cruise vacation aboard Ocean Spray and Cormorant before the end of August to receive 2014 pricing! It is estimated that due to the boat’s popularity and demand that ship owners will raise prices between 5 and 10%. 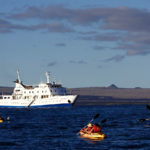 A mid-sized cruise among the finest in Galapagos. This is the ship Abercrombie & Kent uses; book with Knowmad for huge savings! Why pay more to enjoy the same ship and guides; book with Knowmad for your best value and experience! 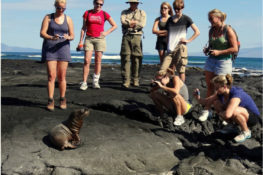 Call your Knowmad Adventures Galapagos Trip Specialist today to help pair you with the best Galapagos experience for you, and to get you great deals on the islands best cruises.